Happy Monday! I hope you all had a good weekend. We did but of course it always goes by so fast. On Saturday morning we got out of the house pretty early and headed to the beach before it started raining. My kids LOVE the beach. Lincoln is just obsessed with the water. And anytime he knows we are going to go to the beach he just walks around the house saying "suits" over and over because he wants me to put is bathing suit on him. So on Saturday I actually had to put it on him at 7 am because he would not stop asking me for it. It was pretty funny. If you have been following me for any amount of time then you know that Nordstrom is my favorite place to shop for myself and for the kids. Nordstrom just has so many cute things to choose from at such great price points for me and for the kids. I love that I basically can shop for the whole family in one place. We spend so much time outside at the beach or in the pool this time of year and Nordstrom has always been a place I go for the kids swimsuits, coverups and sandals for the kids and for me and Matt. They honestly have the most to choose from and they carry so many of my favorite brands for the kids. 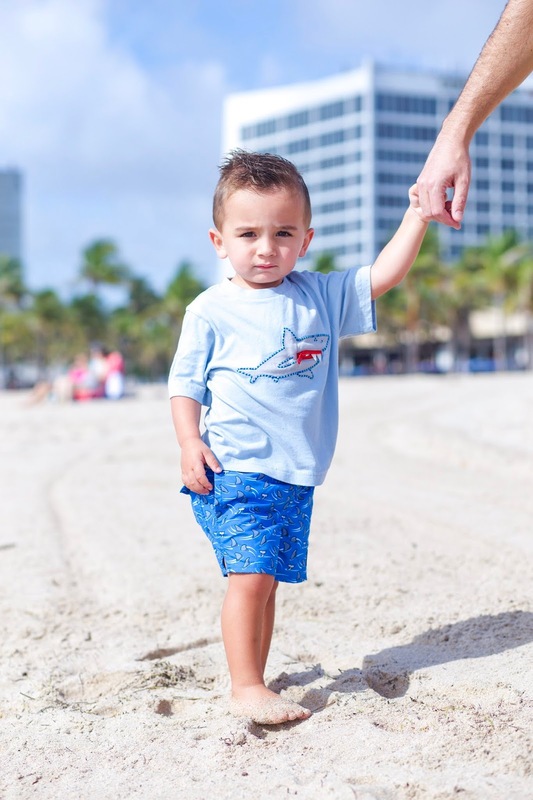 I was so excited when I found this shark t-shirt and shark bathing suit that Lincoln is wearing. 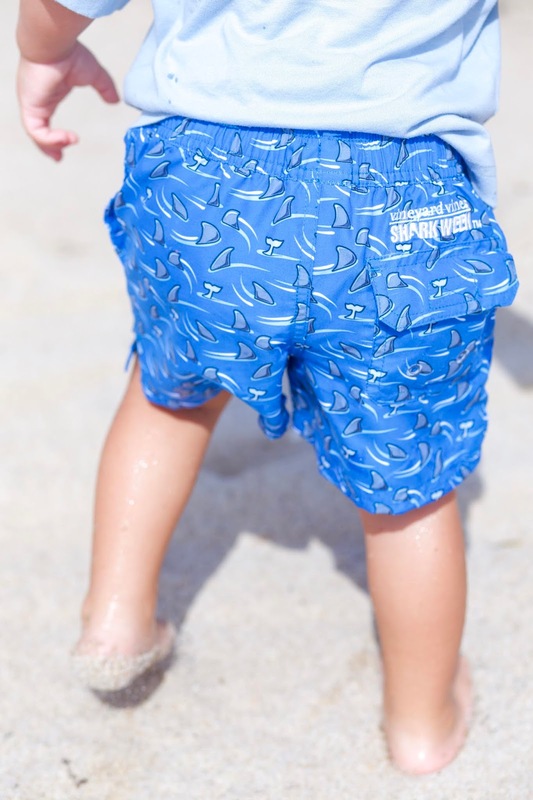 We love shark week but regardless I thought they were both perfect for summer. 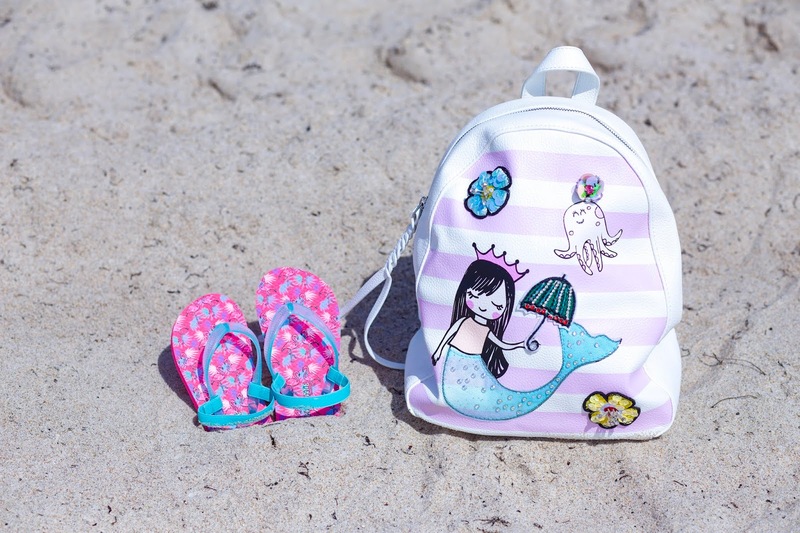 And Im obsessed with Andi's whale bathing suit, flip flops and her mermaid backpack. All of them are perfect for summer and we plan on living at the beach and in the pool so they will get tons of use out of them. Today is Andi's first day of camp and it is also Andi and Lincoln's first day of swimming lessons. So today is a big day and I am just hoping it all goes as smooth as possible. I can not wait until Andi and Lincoln can fully swim. So I am hoping after about three months of swim lessons they will be! They both love the water but its different when they are going in the water with a stranger so I just hope they don't cry the whole time.